You are currently browsing the tag archive for the ‘California Native Plant Society’ tag. Every three years, the California Native Plant Society (CNPS) Conservation Conference brings together California’s conservation community for scientific sessions and lectures, field trips, workshops, special events and networking. 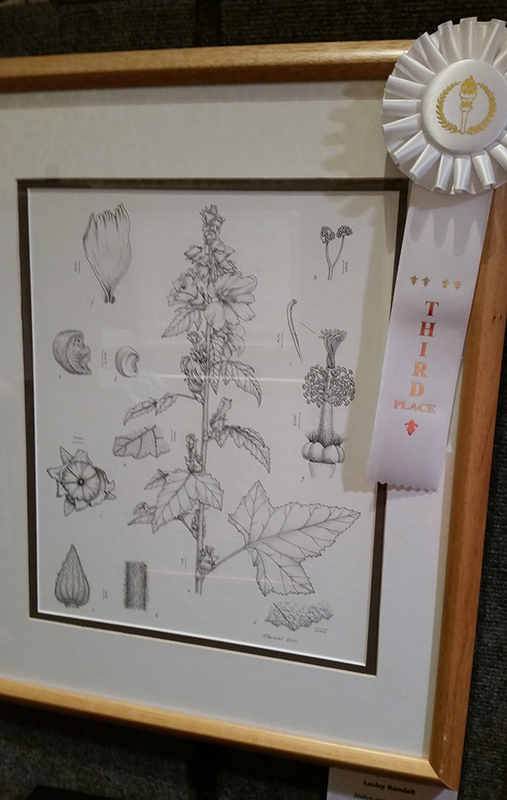 Each conference also has a native plant botanical art and photo contest. This year included a California native plant tattoo contest as well! BAGSC members Olga Ryabstova and Gilly Shaeffer taught botanical art workshops at the Conference. , Burned Manzanita, © Marie Brennan. These images and more from the exhibition can be viewed at: https://www.facebook.com/pg/CaliforniaNativePlantSociety/photos/?tab=album&album_id=1587978757905901 Participating BAGSC members included: Ellie Yun-Hui Tu, Kim Garrison Means, Nina Antze, Donald Davidson, Estelle DeRidder, Susan Jackson, Joan Keesey, Lee McCaffree, Olga Ryabtsova, Mitsuko Schultz, Gilly Shaeffer, Janice Sharp, Deborah Shaw, and Jude Wiesenfeld. Kudos to all who participated, and a special thank you to Elizabeth Kubey, CNPS Conference Assistant and the CNPS art panel: Tina Curiel, Wendell Pascual, Lesley Randall, and Nancy Elizabeth Saltsman. The Califfornia Native Plant Society (CNPS) 2018 Conservation Conference will take place February 1 – 3, 2018 at the LAX Marriott in Los Angeles. This event, which takes place once every three years, is an important opportunity to bring together the best minds in the field to share research, gather inspiration, and collaborate on new ways to protect California’s precious natural resources. This year, CNPS expects more than 1,000 attendees, including consulting biologists, agency staff, researchers, students, conservationists, and environmental professionals. The Conference will feature inspiring keynote speakers, two days of pre-conference workshops and field trips, more than 300 presenters across 24 sessions, a special student session, networking events, and art, poetry, music and photography exhibits! To attend the conference and see the exhibits, register online by January 14. Additionally, BAGSC Members Olga Ryabtsova and Gilly Shaeffer will be teaching two botanical art workshops, open to conference attendees and the public. Read more about the workshops in a previous story on the blog. Congratulations to all the participating artists! The CNPS 2018 Conservation Conference features botanic art and photo contests and exhibits to highlight the beauty of California. 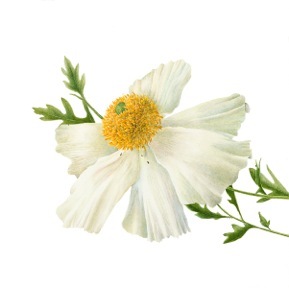 The botanical art exhibition will be on display throughout the conference. Artists are invited to enter original artwork in any two-dimensional medium that reflects the beauty and uniqueness of California flora and adheres to high standards of botanical accuracy. All entries must depict plants native to California (no introduced plants). All the information (guidelines and entry form) are posted online for the botanic art contest and show. Both the entry guidelines and form are downloadable PDFs from this linked page. 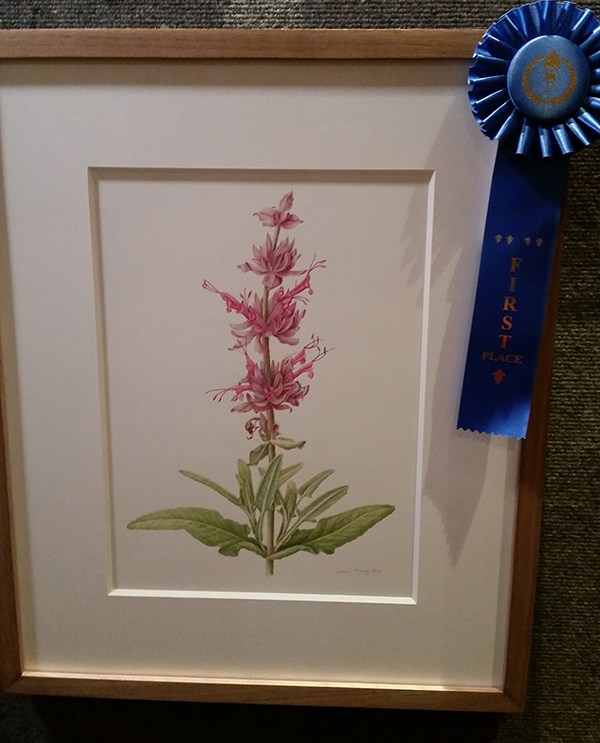 Also included on the site are images of the winners of the 2015 botanical art and photography contests, including BAGSC members Joan Keesey who won first place for her watercolor of Salvia spathacea, Hummingbird Sage; and Lesley Randall, who won third place for her pen and ink scientific illustration of Malva assurgentiflora, Island Mallow. The due date for entries is October 20, 2017. The California Native Plant Society (CNPS) has announced registration is now open for the 2015 Conservation Conference. Held every three years, this conference coincides with the 50th anniversary of CNPS. The conference will be held from January 15 – 17, 2015 at the Double Tree by Hilton, in San Jose, California. Those registering by October 31, 2014 will enjoy early registration savings on the conference, workshops, and field trips. The last CNPS Conference was held in San Diego, California in 2012. BAGSC artists were well represented in the exhibition at that conference, and Deborah Shaw, Joan Keesey and Estelle DeRidder won second place, third place and an honorable mention. Read Joan Keesey’s BAGSC Blog review of the 2012 conference and exhibition. 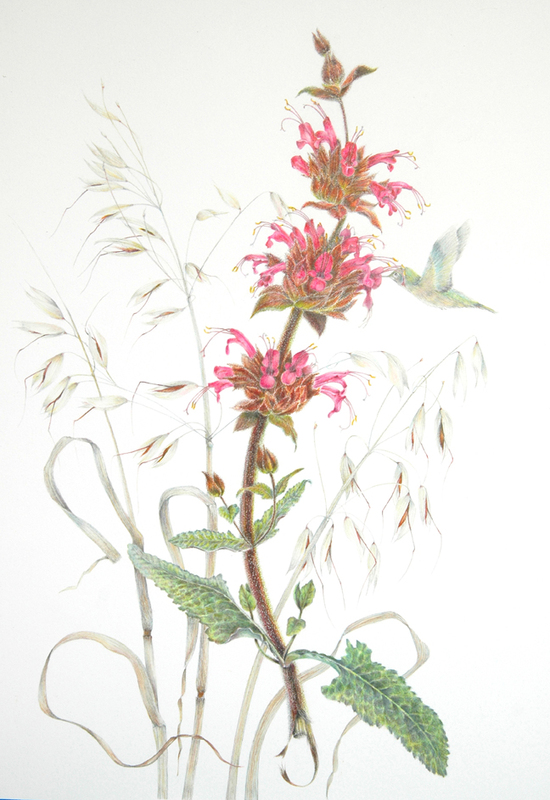 The CNPS will host a juried Botanical Art Exhibition in association with the 2015 conference and has issued a call for entries to the exhibition. 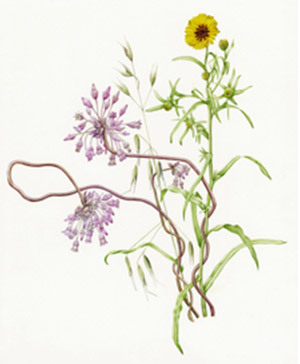 One of the goals of the botanical art exhibition is to encourage a greater understanding and appreciation of California’s unique flora. Artists are invited to enter original artwork of California flora in any two-dimensional medium that is botanically accurate and reflects the beauty and uniqueness of California’s native flora. Prizes will be awarded, and all winning artwork will be published in Fremontia, a CNPS publication. The first place prize is $500; second place is $300; third place is $200. A “Conference Choice” prize will also be awarded, based on votes by conference attendees. The deadline for submission is November 1, 2014. Submitting artists must complete this entry form: cnps2015_art-entry. 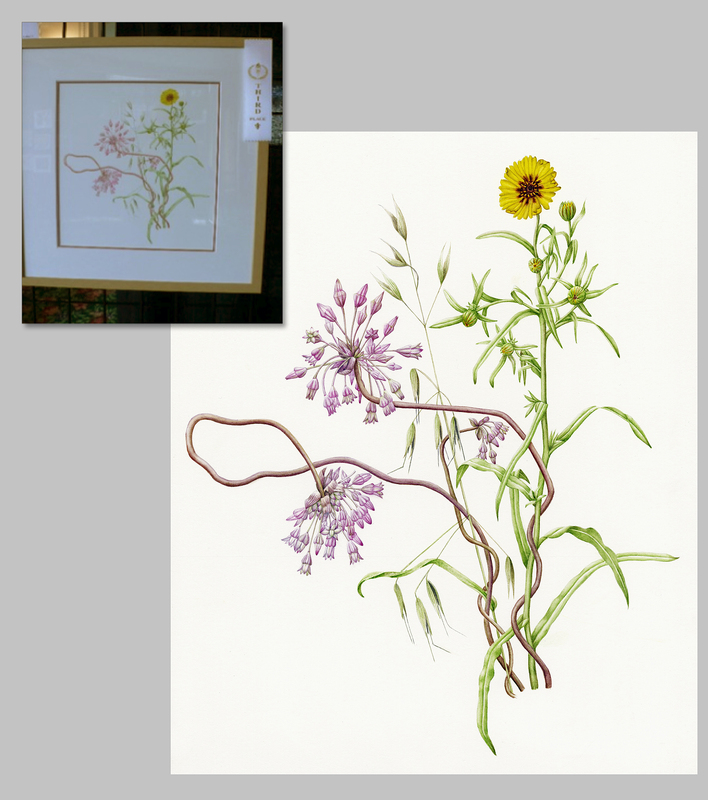 [The Botanical Art Exhibition entry form is also available for download on the conference website: http://www.cnps.org/cnps/conservation/conference/2015/art.php%5D The maximum framed size for each piece is 20″ x 24″; the minimum framed size is 9″ x 12″. Work outside these limits will not be accepted. Each artist may include up to three (3) digital jpg images for submission, at least 300 dpi, emailed as attachments for a $35.00 entry fee. Artists who are registered to attend the conference may pay $25.00 for up to three entries. All artwork must be of California native plants. Digital image submissions should be of the highest quality so that judges will be able to fully appreciate the details of the artwork. Each digital file name should include the artist’s name and the title of the entry. Digital image jpgs should be emailed to Josie Crawford, CNPS Education Program. Artists will be notified by November 30, 2014 as to whether their work has been selected. The show will be hung for the duration of the conference and security will be provided. The public will be able to view the exhibition on Saturday, January 17, 2015. Prize winners will be posted on Saturday, January 17 as well. Detailed information about artwork submission and guidelines is available on the CNPS Conference Registration website in the Call for Entries document: cnps2015_art-call_entries. CNPS will invite artists whose work has been accepted to submit prints and packets of note cards to be sold at the conference store. Artists interested in sales should complete the Prints and Note Card section of the entry form. CNPS will handle all sales; 30 percent of sales will be donated to CNPS. Space in the retail area may be limited, and it may not be possible to accept sales items from all accepted artists. More information about sales is available on the CNPS Conference Registration website in the Call for Entries document: cnps2015_art-call_entries. Kristin has dedicated much of her life to the study, cultivation, and depiction of plants — in particular, her beloved California native species. 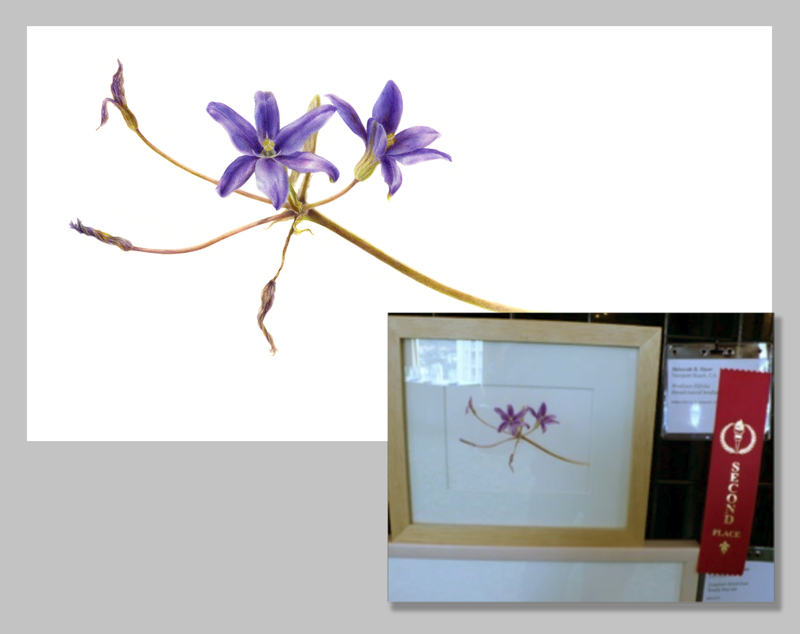 Born and raised in Mill Valley, Marin County, she began drawing plants at the age of 12, when she joined CNPS. Essentially self-taught, Kristin has also studied in England, where in 1981 she received an M.A. from the Royal College of Art in London. Since returning to California, her botanical art has graced a wide array of books and periodicals, package designs, posters, prints and cards, and numerous groups and solo exhibitions. Commissions include two major projects for CNPS: the poster “Wildflowers of the Sierra Nevada,” and the set of four grass poster/placemats. 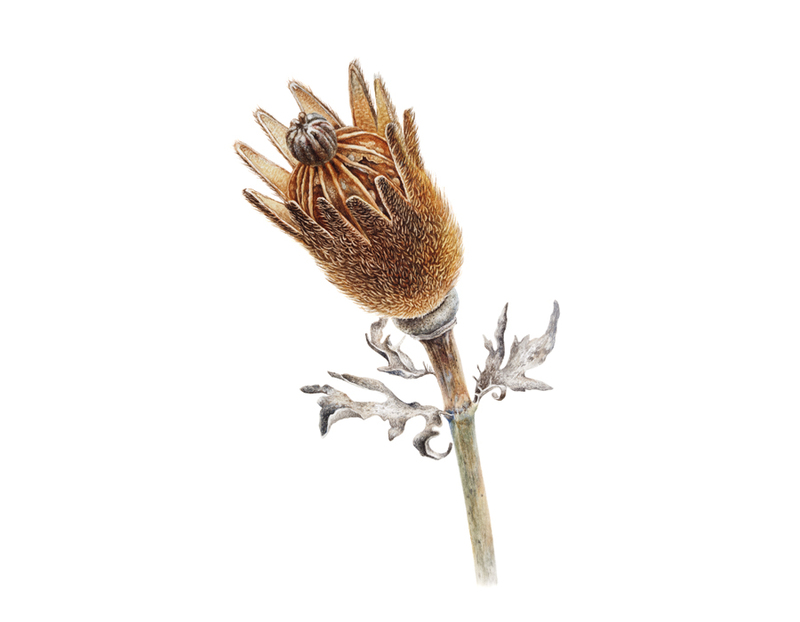 Lee McCaffree teaches botanical illustration classes and workshops and helped develop the Botanical Art Certificate Program at Filoli Gardens in Woodside, California. She received medals for her “Pinus” series and “Plants in Peril” series at the Royal Horticultural Society exhibitions in London. She serves on the Board of the American Society of Botanical Artists, and worked with the plant sale propagation team for EBCNPS. Lee’s publications include the posters for the EBCNPS Plant Sale, and illustrations in “Today’s Botanical Artists” and “Curtis’s Botanical Magazine”, Kew Gardens, England. Geri Hulse-Steens graduated from the University of California, Santa Barbara with a minor in art and entered into the world of scientific illustration through classes taught by Chuck Stasek at the Point Reyes Field Seminars. Her work was first publishe in “Fremontia” in 1982 in an article she wrote and illustrated. Her illustrations have appeared in books, government publications and articles since. She is a botanical consultant living in Mendocino County and has played an active role in the Sanhedrin Chapter of CNPS for more than 25 years.